Mar.06.2015Frank Hawley School News – March 2015! 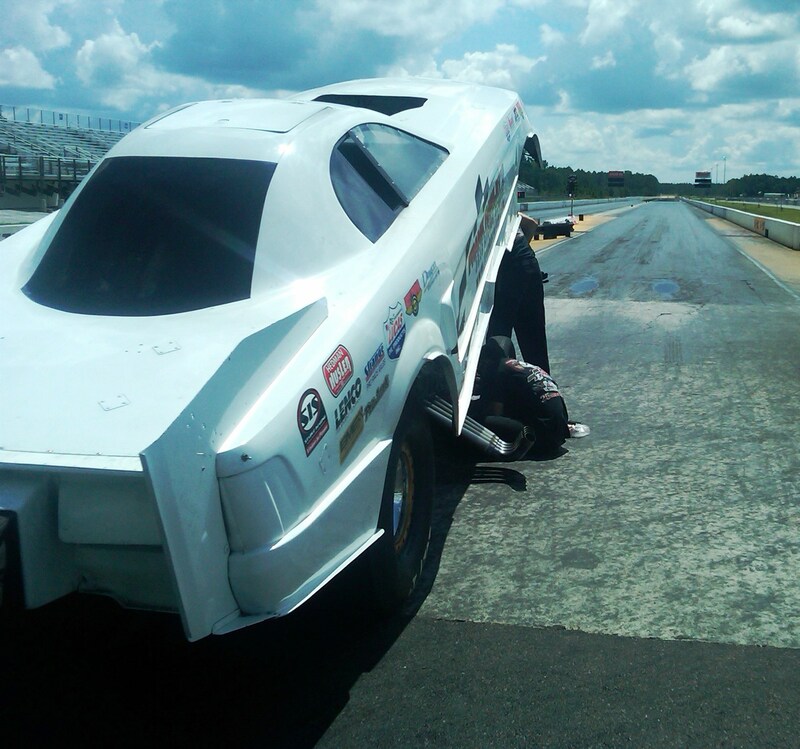 The months of January and February have kept us busy helping people obtain their goal of earning their NHRA Super Comp, Super Gas and Nostalgia Funny Car licenses! It is always interesting to note the wide range of experience of the people attending the School…some were grads upgrading their licenses, some had been racing 10 and 11 second cars, some were moving up from Jr. Dragster, and some had never been in a race car before! We are pleased that Sunoco Race Fuels will power all the School’s race cars in 2015! The Chevy engines in the school’s Super Comp and Super Gas cars will be burning Sunoco 110, while the Alcohol cars will be powered by Sunoco Methanol and Southern Racing Fuels will be making sure plenty of product is on hand for every driving course. Thank you to Sunoco Race Fuels and Southern Racing Fuels for your support! Two of our grads raced the Schools dragsters in the NHRA Division 2 event and will be trying to win some rounds at the Gatornationals in the Super Comp field! 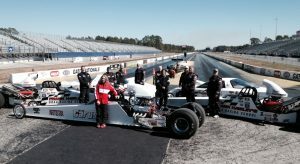 In addition to our regular license classes in SC/SG, Top Dragster, Nostalgia FC, and the Alky category, we have a number of Dragster Adventures on the calendar. The Dragster Adventures are great fun for you, your friends, your employees or your customers. It will provide a most memorable day on the race track! Contact us for info on any of our classes and we hope to see you in the driver’s seat at the School soon!